2. The answer to a secret question is not provided, except for the goods in the names of which the line contains: (+ Secret). 3. The language was not checked. If you are not satisfied with the language in the game this is not a reason to replace or return! 4. Access to the mail is not provided. 5. Access to UT (Ultimate Team) - not available! 6. Many accounts may have other games, such games are a bonus. 7. All operations for the change of data are carried out by the buyer. We do not provide methods for changing data. 8. We are not responsible for your actions. Can you change the password / resold / gave the friend / computer viruses / etc ..? 9. Refund only if the seller is unable to make a replacement within 72 hours from the date of purchase, otherwise there is no refund. 10. Claims and replacements only with the provision of video purchase and data entry into the account. (Recommended programs: for recording - http://www.bandicam.com/en , for downloading - http://www.dropmefiles.com ). 2. We start and authorize on the details we have acquired - LOGIN: PASSWORD. 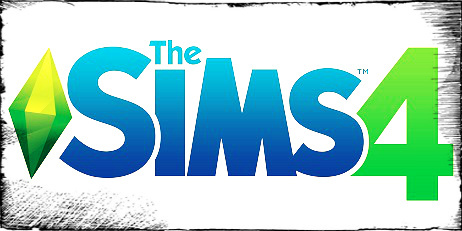 The Sims 4 - a computer game in the genre of the simulator of life, the fourth in a row from the series of games The Sims. As in previous games of the series, the concept of gameplay remains the same, the player controls his character in various activities and relationships similar to real life. The Sims 4 has a non-linear gameplay without a given final goal. The gameplay in The Sims 4 is a real life simulator. The player controls life, satisfying different desires and needs, one or several characters. Actions unfold in the town, consisting of residential and public areas and populated by already prepared sims. Each character is endowed with reason and emotions, has a unique appearance and personality. Relations between characters are measured on two scales, responsible for friendship and romance. The game has a built in "Character Creation Mode", allowing you to create your own sim or change an existing one. The player can adjust the age, appearance and physique, timbre of voice, character and abilities, some preferences and life goals. The game is equipped with a number of tools for changing the interior and building settings. The entire interface is located at the bottom of the game window. In the lower left corner is a character icon with a designation of his emotional state and small icons of other family members. Here there are 6 needs, when you click on the icon of each of them will appear a scale of satisfaction. In the lower right corner are the buttons of the modes of life, purchase and construction. In the middle of the pause button and start the game. When the game is paused, now there will be no red frame, instead of it will appear a translucent white edge along the edges of the screen. The Sims 4 is developed on a completely new engine, which is complemented by the new technology Smart Sim. It gives the characters the ability to talk with each other and react to what is happening with the help of various emotions. Almost the entire game process depends on the emotional state of the character, his mood, skills, desires and actions vary depending on the feelings experienced. In The Sims 4, a character can perform several actions simultaneously and perform tasks in a group with other characters. The game offers an extensive selection of professions, allowing you to go through certain stages of work, requiring communication with other sims.